Flower Bulbs are Magical! Growing them is Fun! Results are almost Guaranteed. So, how does one choose flower bulbs? Season is an important parameter. So is the temperature variation each day in your area! Soil, moisture and other parameters play their bit! Sounds confusing? That's where our Garden & Horticulture experts come in! 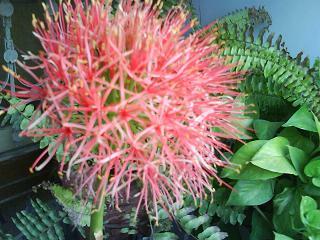 Summers mean growing the Amazing Amaryllis, the Creeping Gloriosa, the May Beauty - Paintbrush Lily. As temperatures rise, and Sun becomes your friend - use space to grow flowers like these that can withstand high temperatures and yet give you blooms to be proud of. 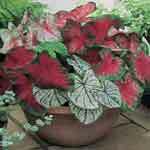 If its a shade patch you want to embellish and decorate, plant Cool Caladiums. They can grow in shade and are winners in ambience creation. The choices are many! Winters bring cooler temperatures and this is the season to plant Ravishing Ranunculus, Gladden your heart Gladioli, Asiatic and Oriental Lilium and a lot more! Consult us for Free! Get us to do the thinking and enjoy a season of blooms and smiles - tension free! Colorful displays of purple and mauve deep scented hyacinths, the spicy aroma of a bunch of lilies, the myriad colorful strokes of gladioli spikes, the creamy white of fragrant narcissus’ – what do all these flowers have in common? You guessed right – all these flowers owe their origin to flower bulbs. To enjoy the beauty of these flowers make the right selection of your raw material first, the flower bulbs. While bulbs are easy to cultivate into flowers, picking the wrong bulbs can make the wait for blooms endless. So it’s well worth paying more to ensure your bulbs result in blooming success! (1)	Select bulbs which are fairly large in size. Remember bulbs that are small sometimes require a year or two to grow in size before they become able to bloom. For example bulbils of gladiolus need to be planted over successive years to attain a certain size before they are able to usually bloom. The rule to follow and remember is that the larger the bulb, the larger is the bloom. 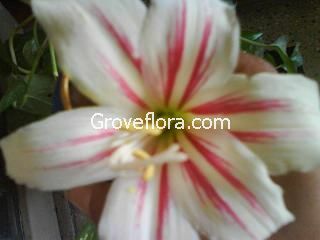 (2)	Go for bulbs that are fairly solid and seem heavy for their size and have a fairly uniform coloring. Discard bulbs that seem soft to the touch. (3)	Make sure there are no signs of fungus or rot identifiable by dark spots on the bulb. Try not to buy these and if you have already bought some bulbs and they have developed some dark or blue green patches, dust the bulbs with a little fungicide before planting else the fungus could spread in your ground or worse contaminate other bulbs. (4)	Lastly ensure all bulbs you buy have their papery covering intact. This papery covering is called tunic and actually helps protect the bulb. It should preferably be intact. A tip growing from the pointed side of the bulb under the tunic is OK. Remember properly stored bulbs contain all the energy and nutrients necessary for the bulbs to result in beautiful blooms. 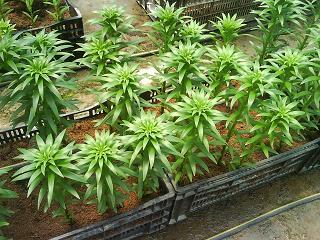 All you need to do is to plant them in the right season after selecting them properly. Ensuring the above four tips will guarantee you prized blooms from your bulbs!